When I'm logged in as an administrator, and submit the form, the data correctly populates the CiviCRM database. However, when I'm logged in as a different role ("Volunteer") with much more limited permissions, the data does not get entered into the database (the webform gets submitted, and I can see the webform results when logged in as an administrator, but the data doesn't get entered into the related CiviCRM fields). 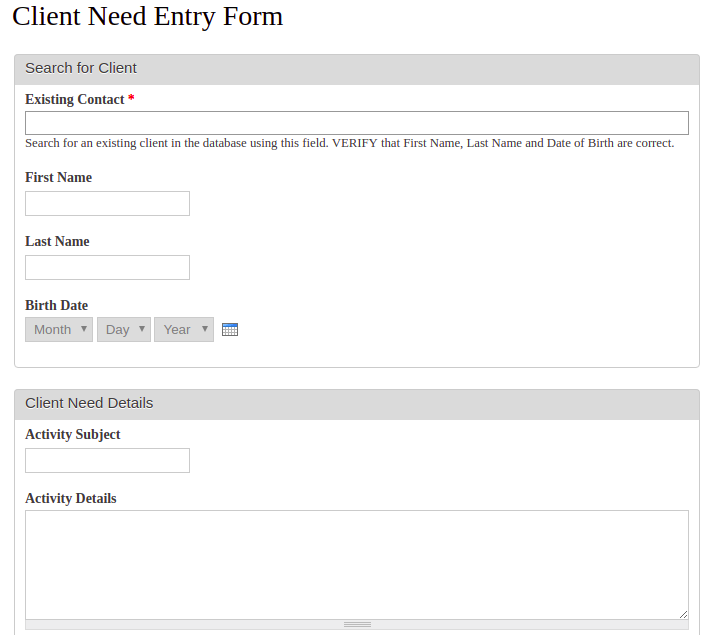 Ideally, the Volunteer role should not be able to create new clients, and should not be able to edit any client data. The Volunteer should ONLY be able to create new activities (Client Needs). Clearly, I'm missing some sort of permission that the volunteer needs in order to create a new activity for a client. Can anyone point me in the right direction? Not the answer you're looking for? Browse other questions tagged webform-civicrm permissions or ask your own question.